If intended for indoor use, but are subject to cleaning or heavy abuse you will want to select this protection option. If your file exceed 40MB. Please skip the upload process, and place order we will contact you for your file. If you are placing an order for multiple designs that are the same size. Place order for total quantity and we will contact you for files after order is placed. Our high-quality StickleMe℠ material is highly durable, can be stuck and re-stuck up to 100 times, will not leave a gooey mess on your walls or damage paint, and turns out looking fantastic. We even have online installation help videos that walk you through the process of applying your stickers. No matter what size or shape you are after, we at Sticker Genius have you covered. 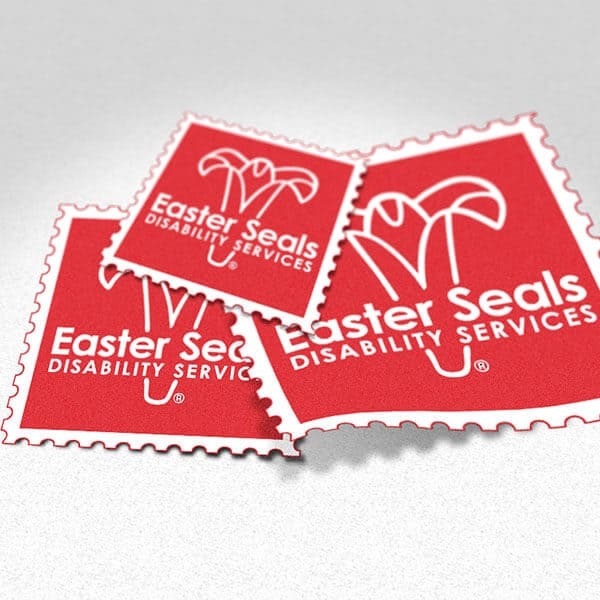 Our team of designers will custom-cut your sticker to make sure it is exactly what you are envisioning. Extra-large pieces can be broken up into multiple stickers for your convenience. 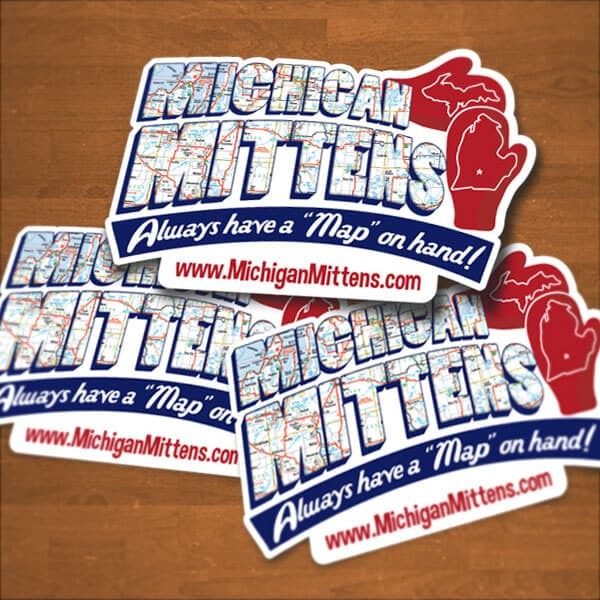 When you need reusable customized stickers for a party, business function, political event, or company promotion, Sticker Genius is here to be your one-stop shop for state-of-the-art quality. No matter what your needs may be, we are here to satisfy them in an efficient, cost-effective, and friendly manner. 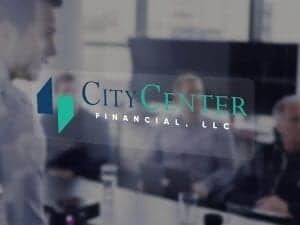 Contact us today to find out exactly what we can do for you. 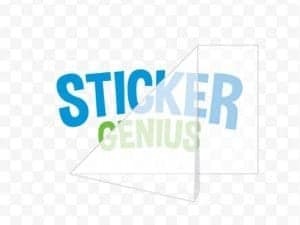 Sticker Genius knows that sometimes you need to use stickers on more than one occasion and in more than one place. This is why we offer a full range of first-class quality reusable stickers. 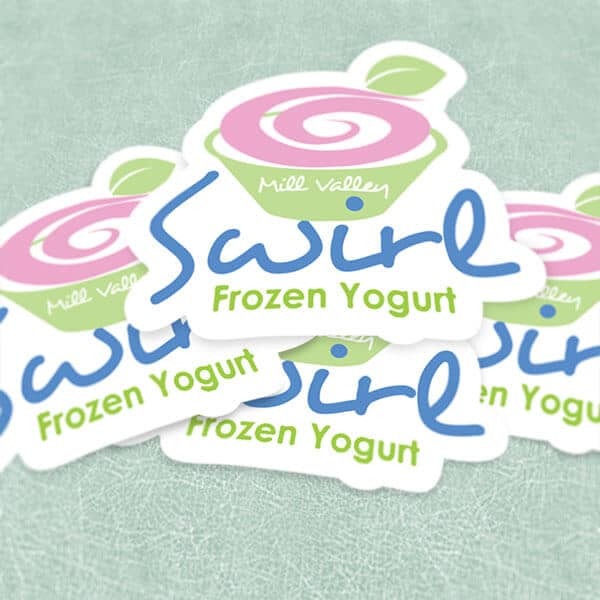 These specially customized stickers come with a special backing that allows them to be reused multiple times without any extra effort on your part. Just choose the place you want to put them, stick them up, and you are done! 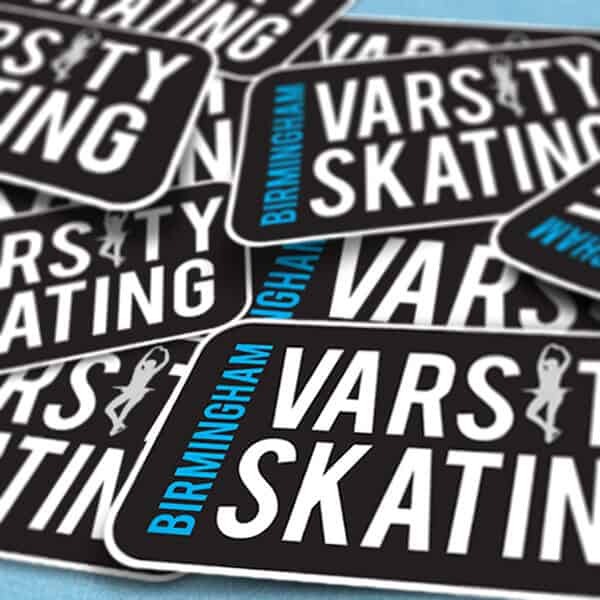 Each and every one of our special custom reusable stickers is made of the finest quality materials in order to ensure a long lifetime of use. We back up each and every one of our custom shape stickers with a full guarantee. 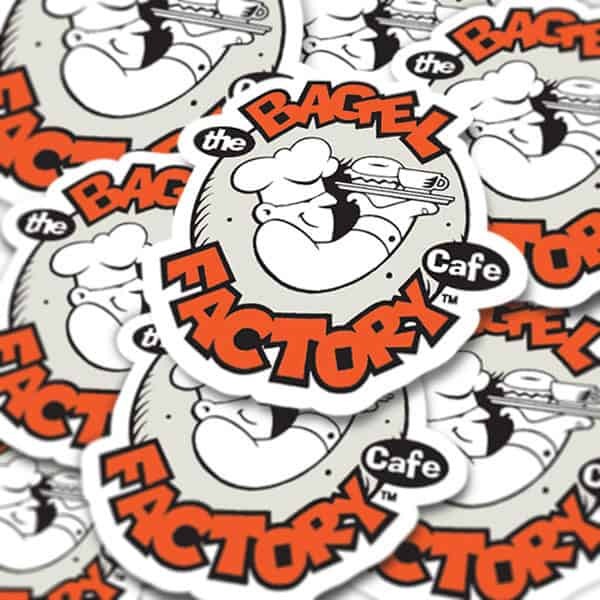 Here at Sticker Genius, we specialize in creating quality reusable stickers in all colors, shapes, and sizes. Whether you’re looking for a conventional square-, rectangle-, or circle-shaped design or a completely unique and fully customized shape of your own choosing, we are here to accommodate your every need. 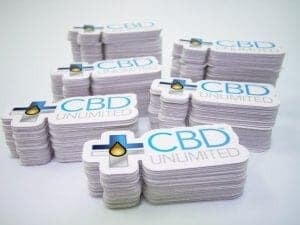 Just let us know exactly what you require, and we will get straight to work to make the customized sticker perfect for you. Restickable Branding That Sticks To Almost Everything! Here at Sticker Genius, we take great pride in producing only the highest-quality reusable stickers. 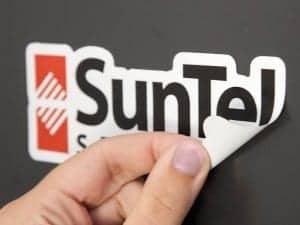 Our restickable stickers won’t damage your paint or leave a sticky film on your wall. These custom shape stickers will stick to most surfaces and can be reused up to 100 times. If you want to move or reposition your StickleMe℠ customized sticker just peel and restick. We can print any shape, size, or color. StickleMe℠ will stick to most surfaces, including some cinderblock (stronger reusable StickleMe adhesive available by special request. It is truly amazing in its respective properties. This material may not stick to stucco or stucco-like textured walls. It can be used on slightly textured drywall, but we suggest requesting a sample pack or our unique stickers to test prior to ordering. 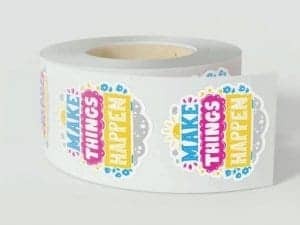 Regardless of the occasion, top-quality reusable stickers can make any event a bright, cheerful, and memorable success. We can assist you to make your party, promotion, or political event the best it’s ever been. No matter what color, shape, or size you are looking for, Sticker Genius is here to make your dreams come true.